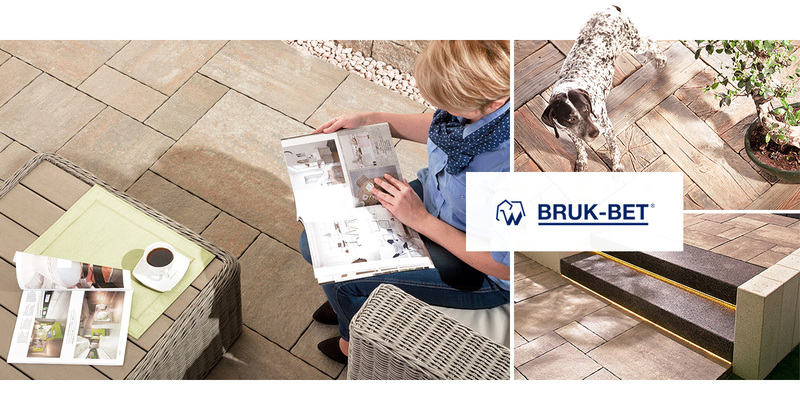 Bruk-Bet is a family-run business with more than 30 years of tradition selling paving stones and innovative patio slabs. The exceptional strength of the company is created by its family of brands including Termalica®, Bruk-Bet Solar®, Georyt® and Intrac®, which are leaders in their respective segments on the Polish market. 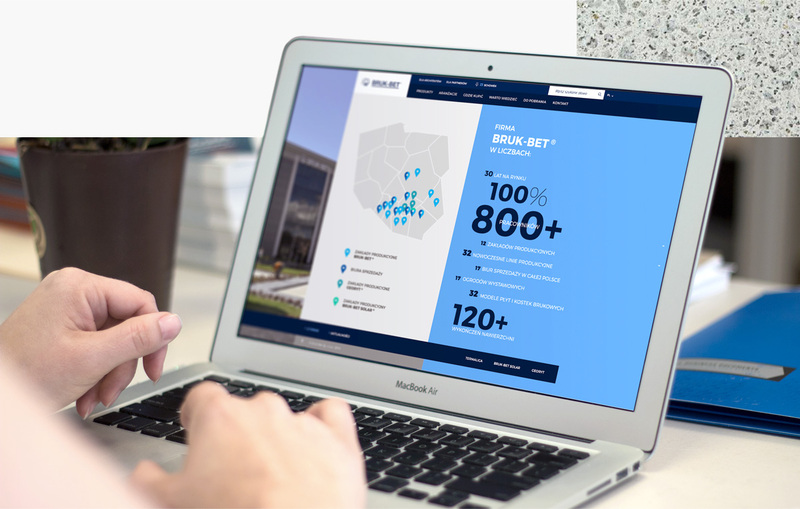 Bruk-Bet chose our agency for a really specific job. 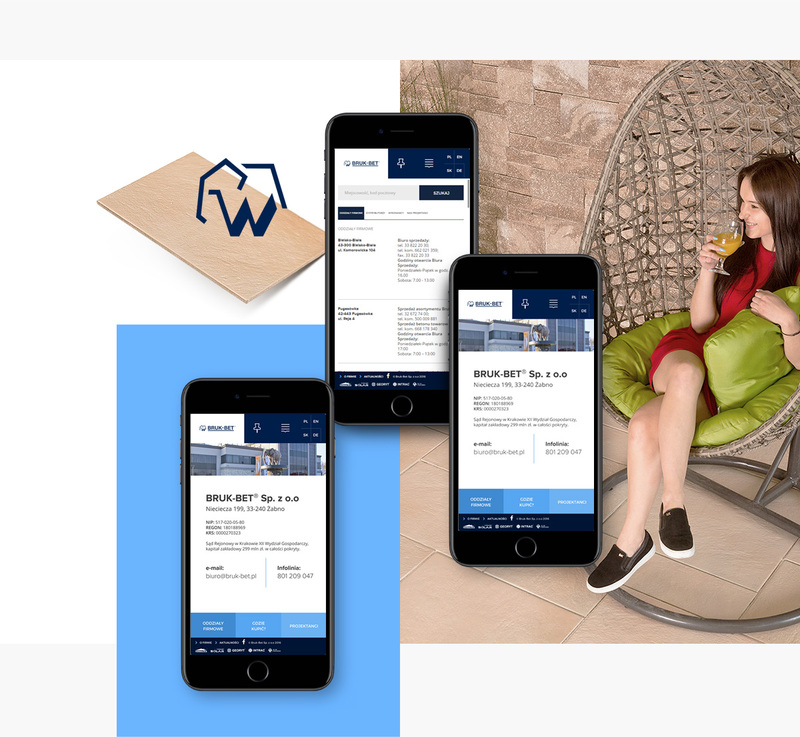 We were responsible for the creation of a brand new, solid website. 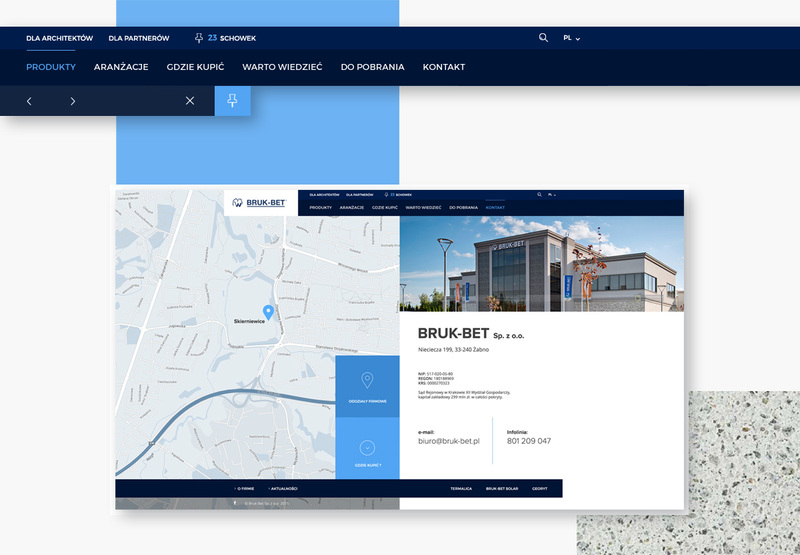 We divided the work, as we always do, into stages: the functional phase during which we dealt with the layout of the page, tidied up the content and developed functionalities for the end-user, and the graphics phase in which the modern interface design was created. 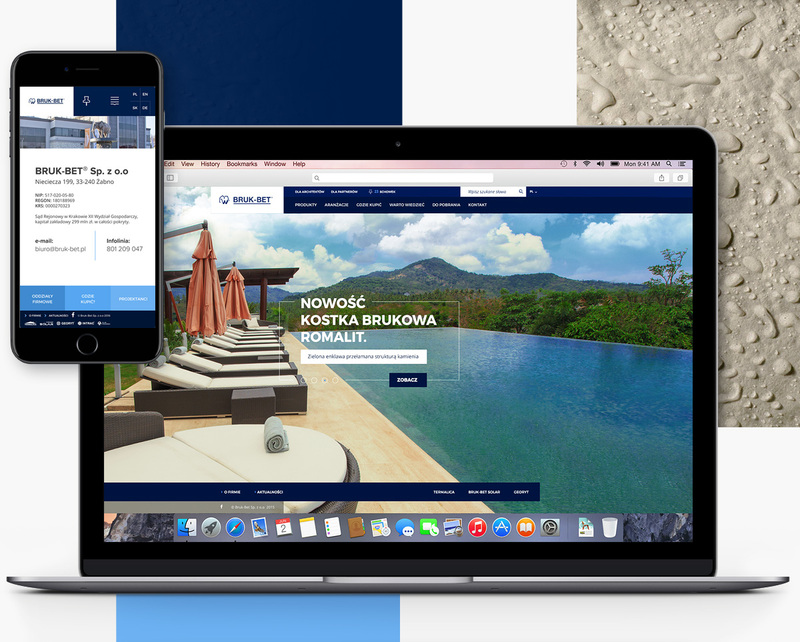 We completed the project by launching the new website expanded with additional content.